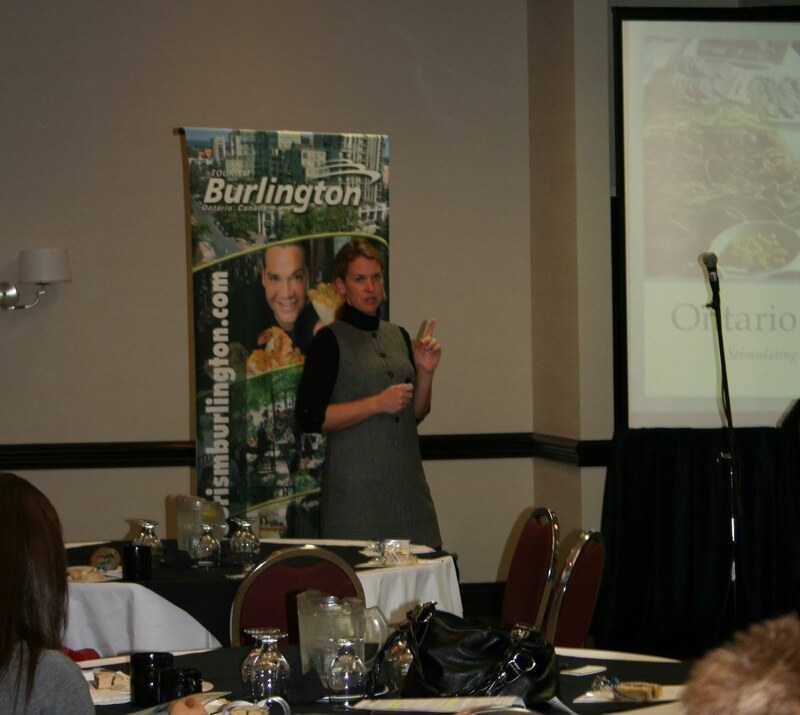 Tourism Burlington hosted a free Culinary Tourism workshop last week featuring keynote speaker Rebecca LeHeup Executive Director from the Ontario Culinary Tourism Alliance (OCTA). 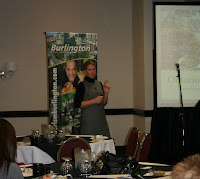 This is the first step in positioning Burlington and Halton as a culinary tourism destination. 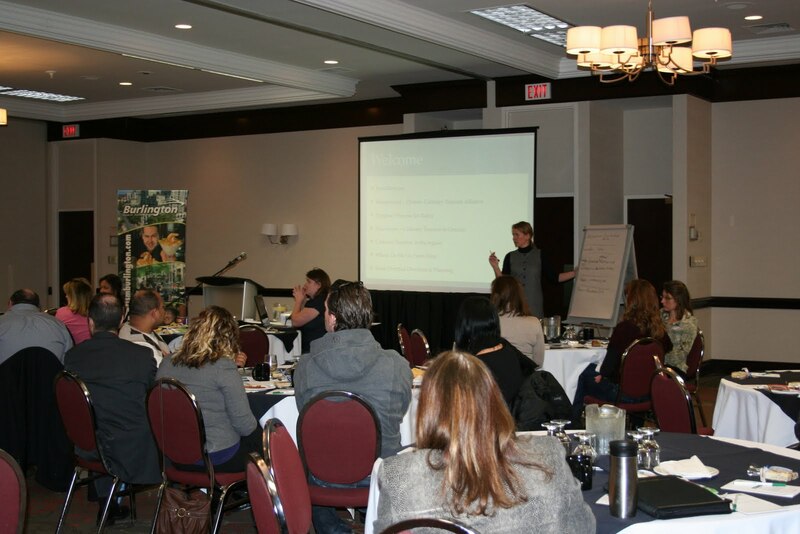 There were 36 attendees including restaurants, hotel catering staff, farm markets, local farms, downtown business associations, attractions with food services and culinary events. The true taste of a place is rooted in its terroir. It starts with agriculture and the people who grow our food. It moves to the artisans that craft the food into tastes such as wine, cheese and beer. It travels to the plate through the craft of cook and chef. We celebrate it at our tables, and in our communities through festivals and events. To create a culinary tourism destination, in the eyes of the world, Ontario’s agriculture and tourism sectors need to tell the story of our unique region with pride. Rebecca shared her experiences developing the Taste and Arts Trails in Prince Edward County and how that area is now a recognized culinary destination. She also talked about how culinary tourism has grown in the past 5 years and gave some excellent examples of initiatives that have generated great returns on investment in places like Stratford and Price Edward County. 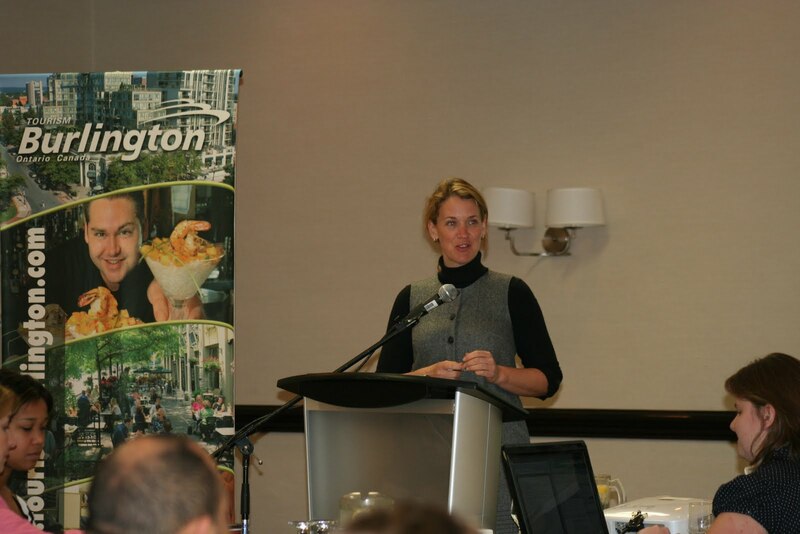 The participants talked about what culinary products that we currently have in the region including numerous farm markets, many local farms such as Springridge and Chudleigh’s and culinary events such as A Taste of Burlington, Downtown Dining and Ribfest etc. The participants were enthusiastic about further developing culinary experiences in the area so the next steps will be to complete a culinary inventory and strike a team to review this information and help develop a culinary strategy. It was also agreed that the local culinary businesses would benefit from participating in a social media workshop in the fall delivered by OCTA which will encourage more networking and cross-marketing of activities. Burlington offers a wide variety of sustainable markets, farms and restaurants featuring local products grown and produced here in the Region of Halton. From Burlington Mall Farmers Market, Busy Liz’s Farm Shop, Harvest Goodies, Our Father’s Farm, Halton Region’s Simply Local, Red Canoe Bistro, Spencer’s at the Waterfront, Oakville Sustainable Food Partnership, Royal Botanical Gardens and Springridge Farm, there is enough to peak interest and make palettes salivate as we explore the notion of making Burlington a Culinary Tourism Destination and how we can promote our region through healthy and sustainable products. If you are interested in further information about culinary tourism in the area, contact us. 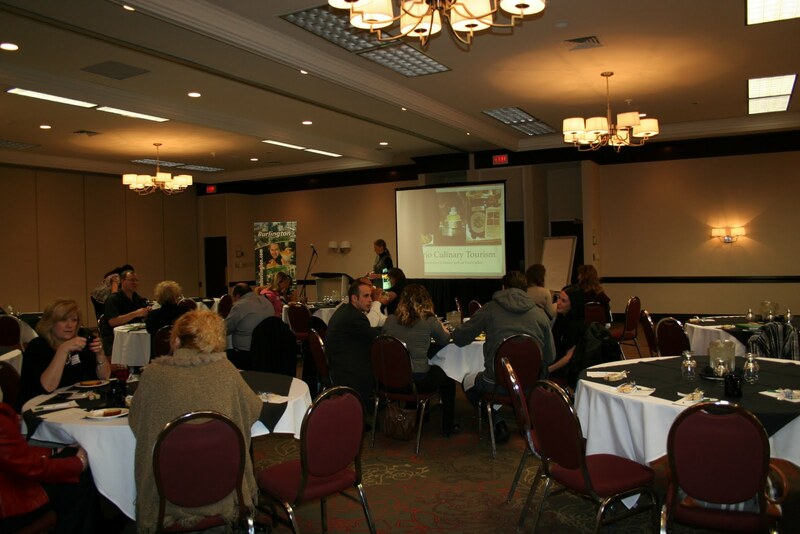 Check out the OCTA website for their article on the workshop and for more information about their services.